Let's start with the basics. Are you considering selling a home or investment property in Princeton (Mercer County)? Using those proceeds to purchase a similar valued property? Thanks to IRC Section 1031, a properly structured 1031 exchange allows an investor to sell a property, to reinvest the proceeds in a new property and to defer all capital gain taxes. Great news, right?! If you're a Princeton Home Owner (buyer or seller), can you benefit from this tax code? Possibly. Contact your CPA of Financial Advisor to be sure. Elizabeth Weintraub from "the Balance" shares her thoughts at 1031 Exchanges. 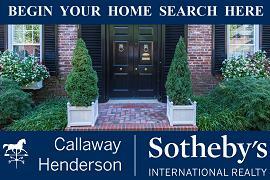 Need help finding or selling your own Princeton real estate property or home? Contact ME today.